How shall we frame this city? Wide-lensed to incorporate the Abbey and St Paul’s. No! Swing to vertical for the corporate Shard. Then regard the indigenous white. One feels these names are selected more as a form of shorthand identification of the immigrants’ countries or cultures, as opposed to the dismissive insults historically thrown out by some sections of the indigenous population. However, the terse enaction of accusatory finger-pointing ensures that the pejorative associations linger in the background, like the often unspoken but deeply-rooted prejudices that immigrants have faced throughout the ages. of old women intent on day-hardened bread. May your daughter never marry a navvie. to bring joy and strength to those who labour endlessly. Mah name Elizabeth after de mudder fo John Baptist. No de mudder fo her chile. She no like his doo-doo. Ah gets all de best jobs! Ah love him but he stink so! two floors below nex’ de toilet. Mah work it never stop. 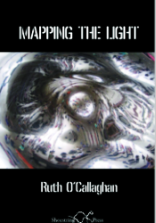 Although that passage indicates that O’Callaghan’s righteous anger sometimes sparks a tendency to preach to the very probably converted, she deserves much credit overall for a work that shows both great humanity and considerable technical ambition, in which she stretches herself at every turn, refusing to rest on comfort-zone laurels. …and what of that no longer spoken? The tantalising rhetorical-question postscript made me wonder if that potentially rich theme, which inspired one of Pinter’s most haunting plays, might be the focus of a future O’Callaghan collection. If so, it should prove every bit as stimulating and provocative as this one.